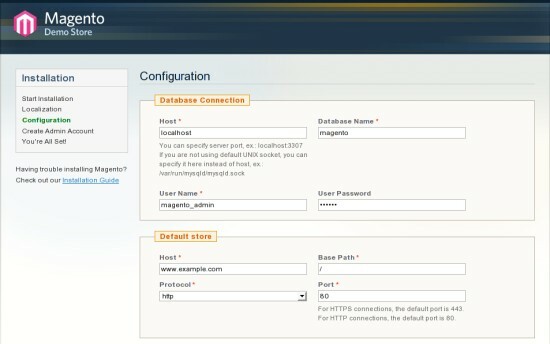 If you don't have a DNS-server running in your network, you have to edit the hosts-file on the workstation from that you want to access the magento-host. On Windows workstations you'll find the hosts-file in "C:\Windows\System32\drivers\etc\" . 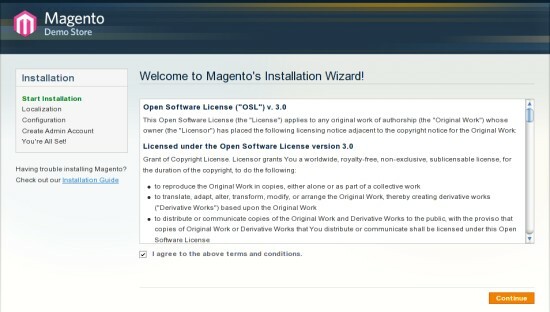 Open http://www.example.com within your browser on the workstation - the installation wizard appears. Read the license agreement and accept it if you agree with it. Afterwards click on "Continue". Select your locale, time zone and default currency. Adjust the settings for the "database connection". Insert the database user and his password that you chose at step 4.3. Additionally mark the checkbox next to "Skip URL validation" at the bottom of the page. 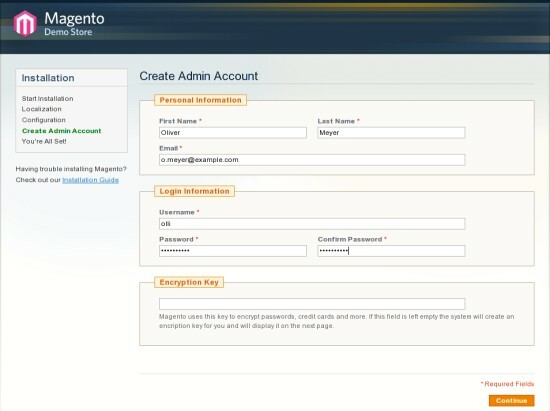 Enter your personal information and your login information for the backend/admin interface. Don't insert anything into the filed next to "Encryption Key". The system will automatically generate a key for you. Installation completed. Keep the encryption key in a safe place. 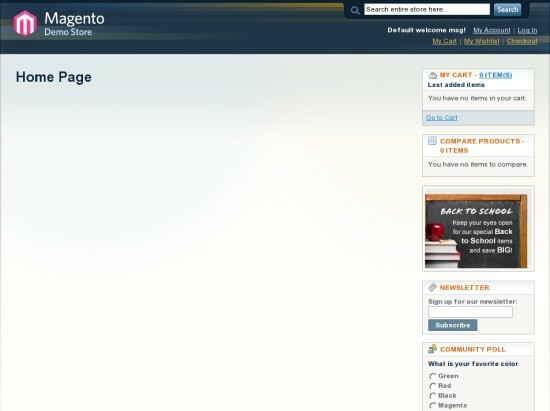 The frontend is available at http://www.example.com. The backend/admin interface is available at https://www.example.com/admin. Note: If you use the attached vm you can log in with the username "olli" and the password "howtoforge".